NB: Special thanks to James Dutton for his valuable contributions to this article. Just over a year ago, Raheem Sterling was billed as the potential MVP for England at the World Cup in Brazil. The then 19-year-old had played without fear at the cutting edge of Liverpool’s attack; an integral part of a three-pronged assault of the opposition where quick movement and incisive, intelligent passing tore holes in even the most stubborn and well organised defence. His stock was on the rise playing alongside the like of Luis Suárez and Daniel Sturridge. The stage was set for him to become an Anfield hero and England’s future hope. However, football is constantly changing and the 2014/15 season turned out to be something of a watershed campaign for Sterling. Suárez was sold to Barcelona, Sturridge was absent for long spells of the season through injury, the recruitment policy of Brendan Rodgers and Fenway Sports Group (FSG) turned out to be significantly flawed. Thus the expectation of Sterling had risen significantly and his performances came under much more scrutiny as a result. Nonetheless, Sterling has not notably improved nor regressed as a player this season; his performances have been symptomatic of Liverpool’s overall form. A season which started well but a slow decline ultimately ended in disappointment. I spoke to The False Nine’s James Dutton about Sterling’s performances this season; “He was the outstanding performer before Christmas but struggled in the second half of the season, be that due to the amount of minutes he’s had to play or the number of positions he’s had to fill across the pitch. James spoke about the issue of fatigue which is something that Roy Hodgson had previously raised during an England training camp back in October 2014 prior to the European Championship qualifiers against Estonia and San Marino. In my opinion, this is an issue that has genuine merit. It can be detrimental to the development of young players to push them too hard, too soon and a prime example of this would be Jack Wilshere. Liverpool relied heavily upon Sterling to fill a number of positions over the course of the season, from lone striker to wing-back and this can take its toll both physically and mentally. He racked up a total of 43 appearances in all competitions this year with Jordan Henderson the only outfield player to play more minutes. His age is often overlooked. Sterling is far from the finished article; he’s genuinely one of England’s most exciting players and although he scored less goals this season ( 9 goals in 2013/14 vs. 7 goals in 2014/15), he actually managed more assists (5 assists in 2013/14 vs. 7 assists in 2014/15). 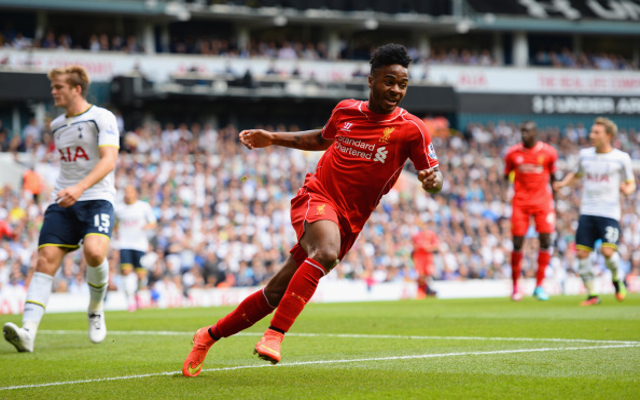 Despite the difficulties, Sterling has produced some good performances with solid displays in the 1-1 Merseyside derby draw in September 2014 and in the 2-0 victory over West Ham in January 2015. In parts, he has continued to demonstrate his raw talent and ability, showing the pace and skilful dribbling that strikes fear in the heart of defenders. His goal against Chelsea in the League Cup in January perfectly captured what Sterling is about and what he can do with a ball at his feet. Playing as the lone striker against Chelsea, he was constantly on the move throughout the game, finding pockets of space between the midfield and defence. In the 59th minute he dropped deep to collect the ball from Jordan Henderson before motoring past Nemanja Matić on the turn and driving through the heart of the Chelsea defence. He left Gary Cahill frantically back-tracking into his own box as he shifted the ball onto his left foot and calmly finished past Thibaut Courtois to make it 1-1. A thrilling show of pace, skill and composure. 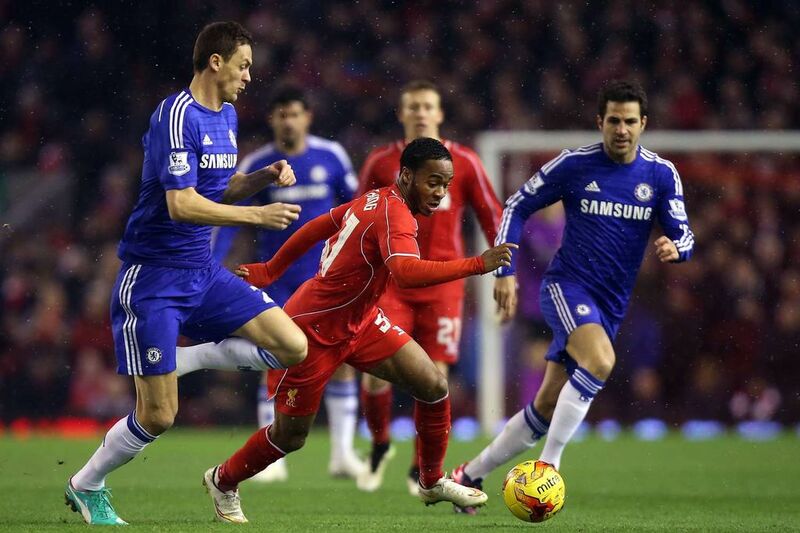 This is the kind of moment that could come to define Sterling in the future. Moments of brilliance to beat a defender, score a crucial goal or flip a game on its head. Despite his tender years, Sterling has continually courted controversy and found himself particularly isolated during the second half of this season. The on-going contract dispute and what seems to be an open desire to leave the club have meant Sterling has effectively made a rod for his own back, at least in the minds of Liverpool fans. James also offered me some thoughts on what the future could hold for Sterling; “Sadly his position at the club appears to be untenable with the way he and his agent have handled it [the contract dispute]. I think it’s 50-50 whether he stays or goes… I can’t call it either way. It’s often difficult to tell what will happen when the rumour mill is in full swing but as expected, all the major clubs in England have been linked with Sterling, alongside the likes of Real Madrid and Paris Saint Germain in Europe. This perfectly captures the multitude of problems Sterling has suffered from this season. Liverpool’s over-reliance on him across a number of positions, a monumental amount of responsibility and the on-going contract dispute has clearly had a negative effect. With his future in the balance, this summer will the most significant one yet for his career. Final rating: 2.5/5 stars. The talent remains but the mind seems to be elsewhere. Some magical moments overshadowed by off-field issues and a poor season collectively for Liverpool.